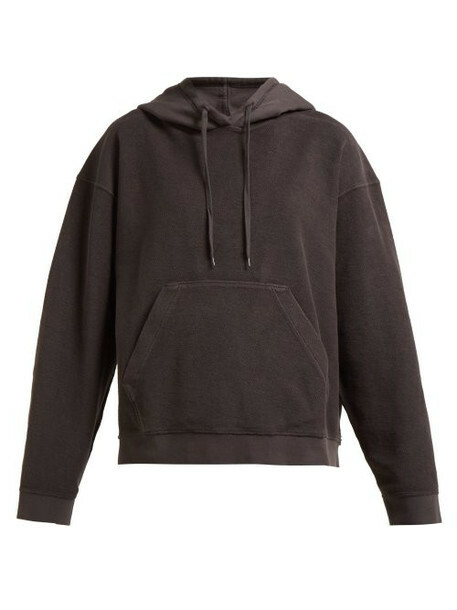 Acne Studios - Acne Studios takes a deconstructed approach with this grey hooded sweatshirt - it's crafted from a soft cotton jersey that has the looped side on the exterior for an inside-out effect. It's cut with dropped shoulders and wide sleeves to ensure a loose-fitting silhouette, while the care label-style logo-jacquard tag at the side seam continues the off-kilter look. Style it with relaxed tailoring for a versatile look.